What are the Implication for Singapore? With the signing of the Third Protocol to the India –Singapore DTAA (Double taxation avoidance agreement) on 30 December 2016, some key provisions the tax treaty stand amended. 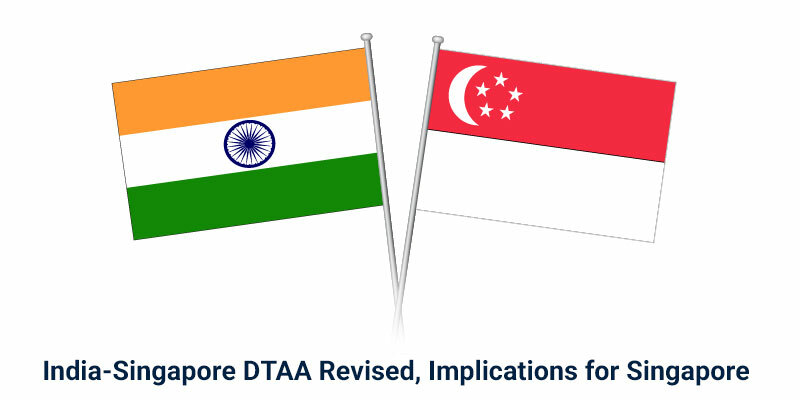 The move was anticipated when India redrafted its DTA agreement with Mauritius, and India–Singapore DTA has a clause that any changes made to the India-Mauritius DTA will automatically trigger changes to India–Singapore DTA. The amendments made to the India-Mauritius DTA in May 2016, set the ball rolling for the renegotiation of the India-Singapore DTA and culminated in the latest protocol. The amendments were made to prevent tax avoidance attempt known as ‘round-tripping’. Round-tripping involves the siphoning of unaccounted money from a source country, say India, to a favored treaty partner such as Mauritius, Cyprus, and Singapore. At the treaty partner jurisdiction, the money gets a makeover as foreign capital by setting up a shell company and is routed back into the source country as foreign investment. In such round-tripping, the unaccounted revenue is not taxed in the source country as well as enjoys exemption or concessionary rates when routed back as foreign capital. Thus resulting in double non-taxation. India has been tightening its noose around tax evasion, tax avoidance and black money in the recent years, factors that are primarily touted to cripple its economic progression. The renegotiation of tax treaties with partners concurs with its commitment to curb tax evasion and tax avoidance. Prior to the amendment, the DTAA exempted capital gains arising from the alienation of shares. Capital gains remained taxable in the country where the alienator was resident. However, this exemption is available subject to fulfillment of Limitation of Benefits (LoB) conditions. 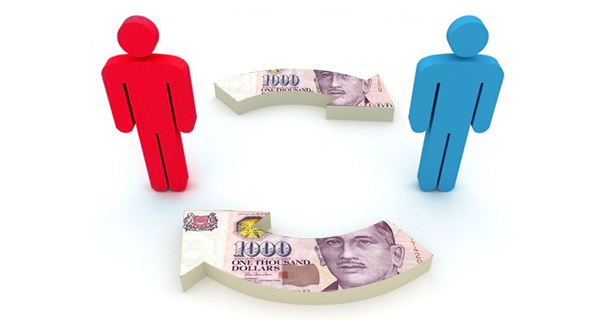 The LoB states that the privileges under the treaty will be available only upon proving commercial substance, whereby the alienator must meet the minimum business spending criterion – Singapore resident alienator must have an annual business spending of at least S$200,000 or Rs.5 million in the case of Indian resident alienator, in the 24 months preceding the date on which such gains arise. If the company fails the ‘main purpose’ test and turns out to be a shell company established for the sole purpose of treaty shopping, then the exemptions and concessionary tax rate would not be available to the company. The Exemption will continue to prevail for capital gains arising from the alienation of shares acquired before 1 April 2017, subject to Limitation of Benefits (LoB) conditions. For capital gains arising from the alienation of shares acquired after 1 April 2017, 50% of the prevailing tax rate, in the country where the company whose shares are alienated is resident will be applicable. This rate is applicable on capital gains arising between 1 April 2017 and 31 March 2019, again subject to LoB conditions. After 31 March 2019, full tax will be applicable on capital gains arising from the alienation of shares acquired after 1 April 2017. Article 9 has been amended to provide for both countries to enter into bilateral discussions for the elimination of double taxation arising from transfer pricing. Accordingly, taxpayers can claim corresponding tax adjustments in the event of disputes arising in the cross-border transaction. Consequently, the tax on the enhanced income derived after transfer-pricing adjustment, if charged by one country then the other treaty partner would provide a corresponding relief. The 2016 protocol introduce a new article which explicitly provides that the Indian-Singapore tax treaty shall not prevent either of the countries from applying its domestic laws and measures concerning the prevention of tax avoidance or tax evasion. The renegotiated treaty gives precedence to a place where the income arises, the source rather than residency. It must be noted that there is no capital gains tax in Singapore, so Indian residents investing in Singapore will remain unaffected by the changes. The existing Singapore investors holding shares in India will remain unaffected and will still be able to enjoy tax exemptions on capital gains from the alienation of shares during and after the transition period, i.e. 31 March 2019. The potential Singapore investors who invest in Indian equities after 31 March 2017 will have to factor in the potential tax liability on alienation. Foreign Portfolio Investors (FPI) have enjoyed tax exemptions on gains arising from the alienation of shares held in listed companies, irrespective of trading frequency and holding period of such shares. Such investments made after 1 April 2017 will be affected by the revised terms. Likewise, gains from the alienation of unlisted shares is treated as short-term capital gains and they are subjected to 15% tax presently but they will benefit with the revised terms and will be subjected to 7.5% during the transition period and 15% after 31 March 2019. Gains arising for a Singapore resident, from the alienation of other securities such as convertible debentures, will remain taxable in Singapore. The fulfillment of LoB, in such cases of exemptions, may not be required for such gains. 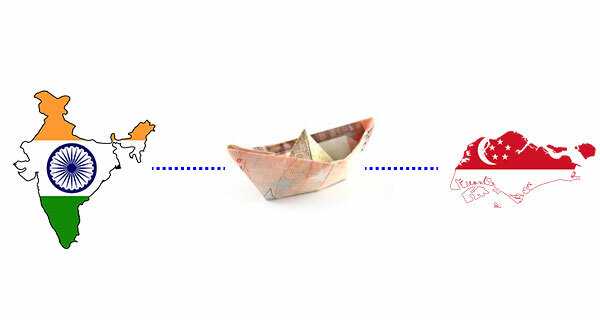 Both Indian and Singapore-based companies have subsidiaries in located in each other’s territories; hence the volume of associated party transactions and the potential for disputes is significantly high. The latest protocol improves access to Mutual Agreement Procedure for dispute resolution and may even expedite resolution. The amendments made to both DTAs are broadly congruent, except for the LOB clause, introduced in Mauritius only in the latest protocol as against Singapore, where it was introduced since the 2005 protocol. One significant difference that may create an arbitrage for Mauritius is the clause on tax on interest earned via debt instruments. It must be noted that unlike the revised India-Mauritius DTA, the third protocol of India–Singapore remains silent on the treatment of debt instruments. The Mauritius DTA states that the interest incomes gained on the debt instruments entered into after 31 March 2017, will be subjected to 7.5% tax rates in the source country. The same withholding tax on interest in the case of India-Singapore DTA is 15%, Mauritius scores over Singapore with the new revised rate. We have to wait and see how the situation pans out for Singapore. Will the amendments affect Singapore as a preferred route to India? Mauritius has conventionally been the top source country for FDI into India and in terms of the total FDI inflows since 2000 Mauritius holds the largest share while Singapore holds the second largest share. However, Mauritius’ position as a top source country started weakening post amendments to DTA and Singapore overtook Mauritius as the top source country with the FDI investment of $13.6 billion in 2015-2016. Singapore’s distinction as the top FDI source country for India may soon be tested with the recent amendments effected in India-Singapore DTA. It must be assessed in a broader perspective of Singapore as an important stopover along the regional and international business corridor. Investors are not simply attracted to Singapore because of the tax advantage, but because of other strategic merits as well. It is a politically stable economy with vibrant and thriving economic clusters, where international players congregate to gain synergy. As a regional financial center with robust regulatory and legal framework, there is ample protection available to investors. Besides its geographic strategic location connecting east and west, its key role in the ASEAN Economic Community is also attracting a lot of investments that gets channelized to India. More importantly, India is on the renegotiation spree with all other treaty partners as well, so relative advantage, if any, possessed by India’s other treaty partners will eventually diminish. Singapore will continue to retain its dominance as a top FDI source for India and Indian investors and enterprises will continue to set-up subsidiaries in Singapore and invest in Singapore companies. Do invest-in-India but thru Singapore to take advantage of the DTAA!